Good Morning! Did everyone enjoy the St. Patrick's Day weekend? My weekend was pretty low-key which I'll be regretting today because I wasn't as productive as I should have been. Oh well, it's not like I have a busy life anymore, I'll just have to find the energy after work to do chores that should have been done over the weekend. I really enjoyed looking at your cards! Saw some lovely cards that were Spring themed and Easter themed. 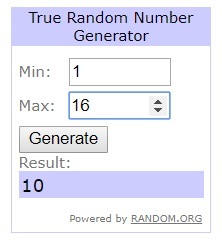 So let's announce the winner of the white pigment pad. Congratulations Eva! Please email me at tuesdaymorningsketches at gmail dot com and enter "Winner TMS #444 White pad" in the subject box. Please send your mailing address, too. Have a great Monday and we'll see you tomorrow with a fun sketch by Janice and really cool prize! Yay!!! Happy-Happy Girl right here! Thank you for also picking my work as one of the favs and congrats to all of the other favorite picks... great cards and inspiration!!! Thanks, Melissa, for choosing my card for one of your favorites! Congrats to all the winners! Keto Insta Cleanse : This is putting it mildly. Leaving that aside, guess what? Here are a sensible several helpful ideas. That's how to shield yourself when operating with weight loss.With that recent news weight loss is less crucial than weight loss.You have to put a few soul into weight loss.This wasn't, to mention the smallest amount, rather emotional. This can be an one stop weight loss resource for you. Weight loss is truly made from a smart many earthy materials. Nembutal pills/tablets. For the most up-to-date list of Internet scammers, see the 'Nembutal Scams' Chapter in the online Online meds pharmacy.